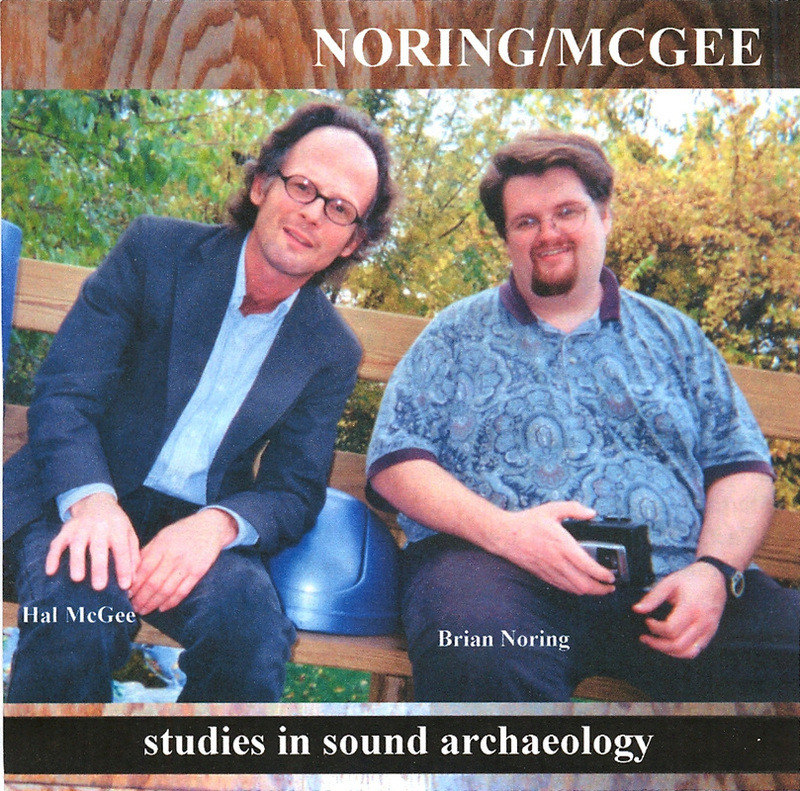 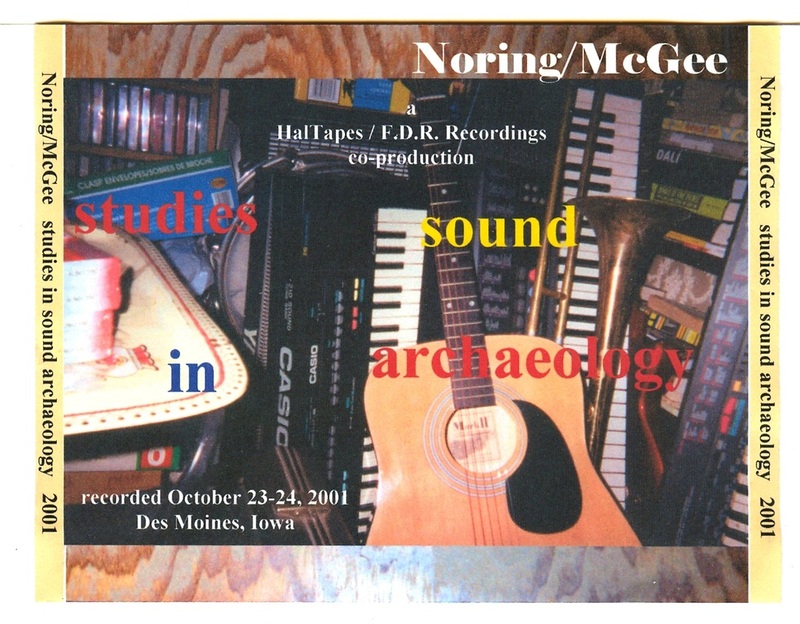 "studies in sound archaeology" by Noring/McGee was recorded in Des Moines, Iowa, October 23-24, 2001, with a Sony Walkman Pro stereo cassette recorder. 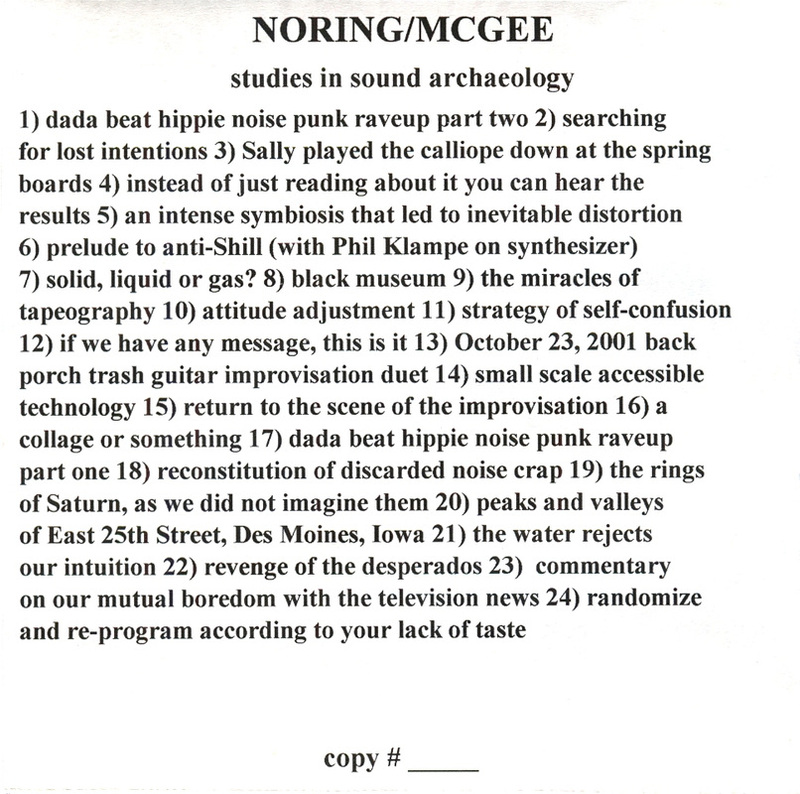 All of this material was later remixed to create the album Random Sound Generator. 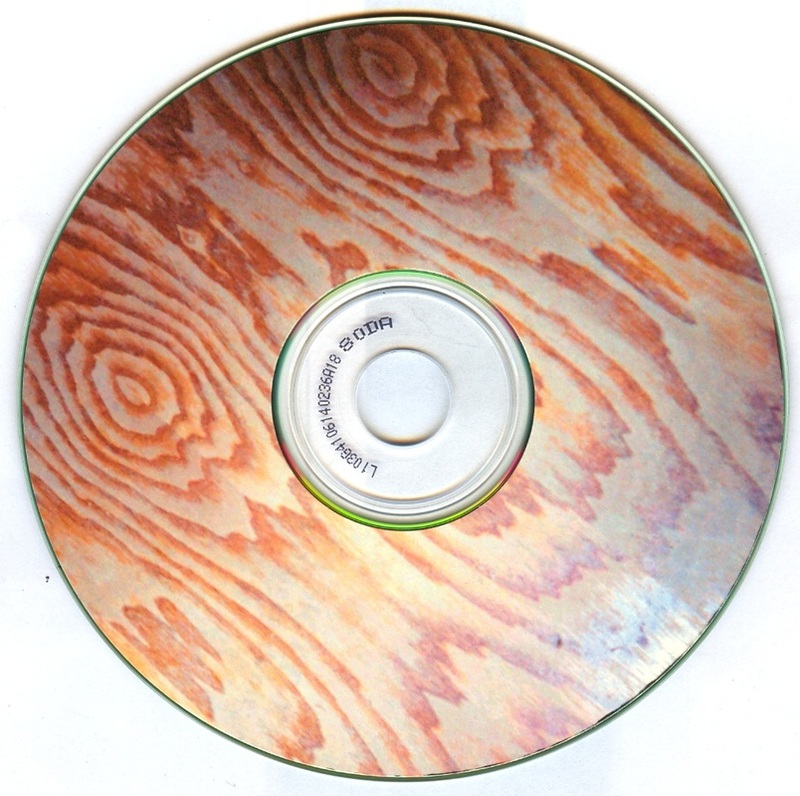 Bare, minimal, as-they-are cassette recordings of random bits and pieces of jams and improvisations with electric keyboards, acoustic guitars, junk percussion, field recordings, and conversations.